a 14th century term which comes from the Latin inter “between” and rogare “question”–to question between. 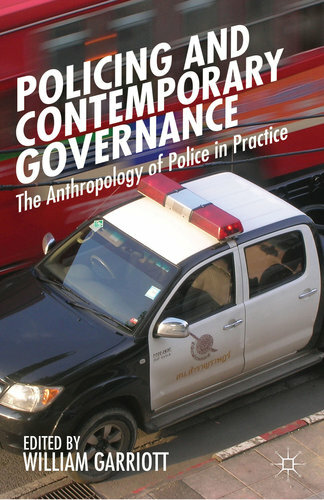 Policing and Contemporary Governance: the anthropology of police in practice. William Garriott, editor (Palgrave MacMillan 2013). The editors of Anthropoliteia would like to introduce yet another in our series of new features: Interrogations, an interview series with authors and other people of potential interest to our readers. The term ‘interrogation’ comes the Latin inter “between” and rogare “question”. It thus originally meant something like “to question between” (as opposed, for example, to examiner “to test, try, torture”). Our plans for the series, which will edited by Kristen Drybread & Johanna Romer, are aimed at exploring this sense of the term. We are happy to present to you the first in this series, a conversation between Heath Cabot & William Garriott focused on Garriott’s edited volume Policing and Contemporary Governance: The Anthropology of Police in Practice (2013).